US streamer Netflix has ordered a drama based on a novel about a chess prodigy and added to its growing slate of interactive series. The Queen’s Gambit is based on Walter Tevis’s novel and was written by Allan Scott (The Preacher’s Wife) and Scott Frank (Godless), who also directs, while Anya Taylor-Joy stars. Scott and Frank are exec producing alongside William Horberg. The six-episode show will be set during the Cold War and follows an orphan who is a chess prodigy and battles with addiction while attempting to become the best player in the world. Meanwhile, the streamer has ordered interactive animated series Battle Kitty, based on Matt Layzell’s show The Adventures of Kitty & Orc, which was first made available via Instagram. 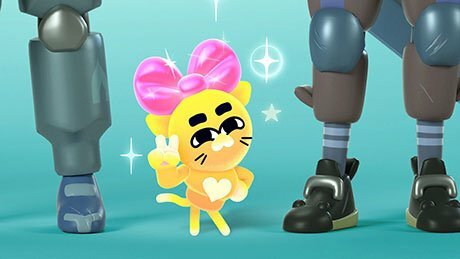 Layzell will exec produce and showrun the series, which follows a small, fluffy, fierce cat who must defeat an array of monsters on Battle Island to be crowned champion. The show will allow viewers to control the cat’s story to unlock new storylines and adventures. Netflix has previously created interactive episodes of drama Black Mirror and kids’ show The Adventures of Puss in Boots. Yesterday it added to that slate with You vs Wild, which will allow viewers to guide the actions of host and adventurer Bear Grylls.